Mainly sunny. High 61F. 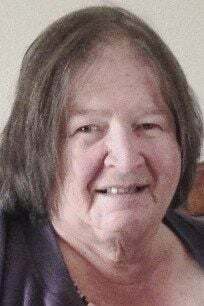 Winds NNW at 5 to 10 mph..
Kathleen Sue (Adrian) Mayer, 73, of Chippewa Falls died Tuesday, Jan. 22, 2019, at Mayo Clinic Health System in Eau Claire. Kathy was born Nov. 8, 1945, in Chippewa Falls, to Christann (Plonty) and Albert “Pat” Adrian. She was proud to be a Chippewa Falls High School, class of 1964 graduate. After graduation and before her marriage, Kathy worked for a bakery with people she adored. She was honored to be a caretaker for her mother. She also loved being a leader with the local Boy Scouts troop. On June 23, 1979, Kathy married Michael “Mickey” Mayer. Shortly after their marriage they moved to the family farm in Tilden. Kathy and Mickey worked together and raised three beautiful children on the farm. Kathy loved to organize gatherings for family, friends, classmates, or anyone that was willing to spend time visiting in the garage. Her gatherings always included more food than anyone could eat, as she loved to cook for everybody. She enjoyed doing crafts, reading books and was a vicious Scrabble player. She was an active member of the Chippewa Falls chapter of the FFA Alumni. Her grandchildren were the highlight of her life! She will be dearly missed by her husband, Mickey; her children, Kristy Mayer and Steven (Krystle) Mayer, both of Chippewa Falls and Jean (Shawn) Dutton of Mauston, Wis.; five grandchildren, Michael and Grace Mayer, Cade, Mackenzie and Cooper Dutton; five siblings, Jean (Bill) LaRue of Holcombe, Pat (Pam) Adrian of Malvern, Ark., Patsy (Ron) of Park Falls, Linda Turek of Osceola, and George (Judy) Adrian of Chippewa Falls; two sisters-in-law, Janet Mayer and Cindy (John) Spaeth of Chippewa Falls; many nieces, nephews and lifelong friends. She was preceded in death by her parents; and one brother, Mike Adrian. A memorial Mass will be held at 11:30 a.m. Wednesday, Jan. 30, at Notre Dame Church in Chippewa Falls. The Rev. Jesse Burish will be celebrant of the memorial Mass. Burial of cremains will be in St. Peter’s Cemetery in the town of Tilden. Friends may call from 4 to 8 p.m. Tuesday, Jan. 29, at the Horan Funeral Home in Chippewa Falls and from 10:30 a.m. until the time of services at 11:30 a.m. Wednesday at Notre Dame Church in Chippewa Falls.